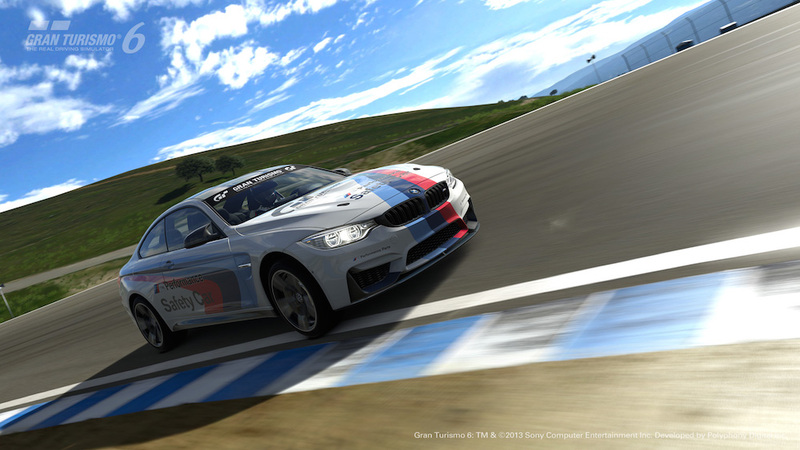 BMW of North America and Polyphony Digital, Inc. announced today at the 2014 SEMA Show that the new BMW M Performance M4 Safety Car will be made available, in virtual form, to owners of the Gran Turismo®6 game for the PlayStation®3 system as a free update in late November. The BMW M Performance M4 Safety Car made its North American industry premiere today at the show as a demonstration vehicle for BMW M Performance Parts in North America. 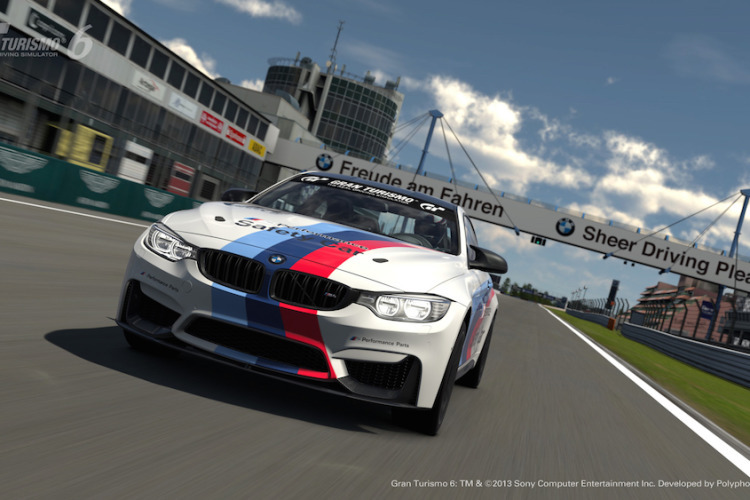 Working in partnership, Polyphony Digital, Inc. and BMW have managed to make the rare BMW M4 Safety Car into a playable reality for all. 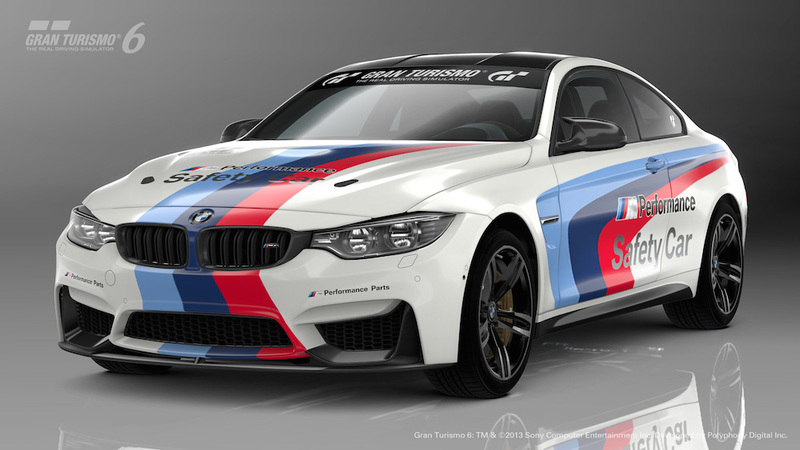 At this year’s SEMA Show, industry showgoers will view the actual BMW M Performance M4 Safety Car, be among the first to drive it on the Gran Turismo 6 simulators. 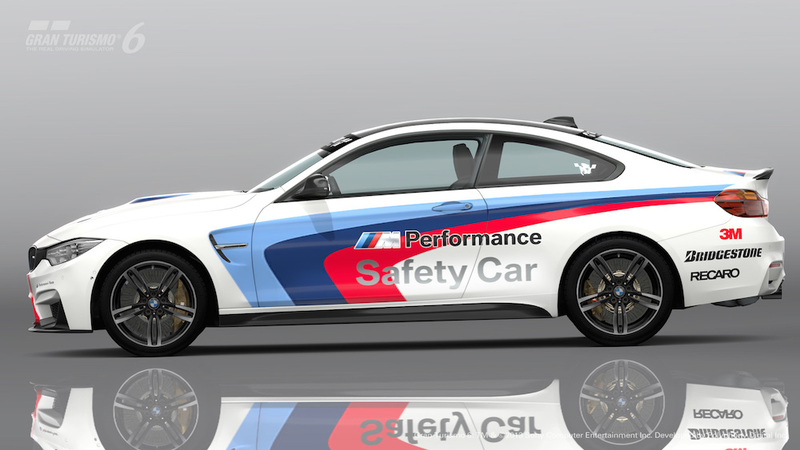 The BMW M Performance M4 Safety Car was produced by BMW of North America as an exciting showcase for the latest accessories in the popular M Performance Parts catalog, which are often used by BMW owners to fully personalize The Ultimate Driving Machine®. The Safety Car began as a series-production, 2015 BMW M4 Coupe and features a custom body wrap by 3M in BMW Motorsport theme colors. Next, BMW added a full complement of BMW M Performance parts available for the M4: carbon fiber splitter system, side splitters, carbon fiber mirror caps, carbon fiber rear spoiler, carbon fiber rear diffuser, black BMW kidney grilles, black side gills, and titanium exhaust system with carbon fiber exhaust tips. The M4 Safety Car theme is completed by a set of LED grille-mounted flashers and LED rooftop light bar.